Thank you to our players who have participated in our recent HVAA Travel Basketball Tryouts! ***These events are for TRAVEL ONLY. In-house basketball registration will begin in October, with team assignment and practices beginning in late December. There will be a minimum of 2 tryouts per team. If deemed necessary by a head coach of one of the teams, an INVITATION ONLY 3rd tryout may be requested of a limited group of players before invitations to join the team are extended. Check-In for tryouts begin 20 minutes prior to the start of the tryout time, with check-in closing sharply at tryout practice start time. There will be NO admittance upstairs to the gym of any participant after the start of the tryout. Tryouts are CLOSED DOOR to the head coach, assigned evaluators, and participants trying out ONLY. No spectators, siblings, parents, friends, family, etc. are permitted in or outside the gym during the tryout. NO PARTICIPANT is allowed to bring their own basketball. We have plenty to provide for the tryouts. We respectfully request that, both prior to the tryout and once the tryout is over, parents limit interactions with the head coach and evaluators to a simple wave and ‘thank you’, as we have a process recap that needs to be completed at the end of each session. We want to respect the time that our un-paid volunteers provide our community’s children and wish to get them home to their own families as quickly as possible. Generally, travel sports is more competitive than in-house sport programs. The requirement of resources is greater within these programs. Additional time, travel, and dollar commitments accompany all HVAA Travel Sport programs. 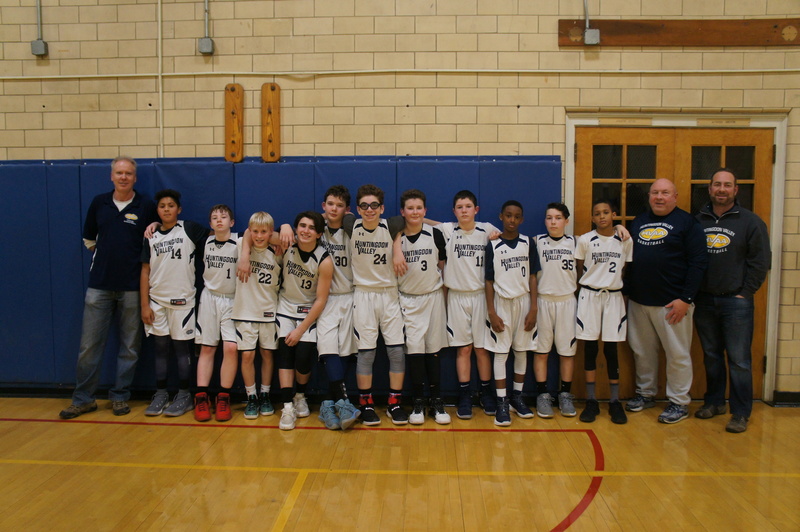 Congratulations to HVAA's 6th Grade Boys! Way to go, Champs!